Cortez Kennedy, a former NFL star with the Seattle Seahawks and inductee into the Pro Football Hall of Fame, is dead at age 48, ESPN reports. According to the Orlando Police Department, “there is nothing suspicious to report” currently, but the department is investigating Kennedy’s death. Police said that the former NFL player, who retired in 2000 and entered the Pro Football Hall of Fame in 2012, died alone. Prior to entering the NFL in the 1990 draft, Kennedy played for the University of Miami, where he was named an All-American in 1989. Jiimmy Johnson, a coach of Kennedy’s at the University of Miami, tweeted that he was “shocked” about the player’s death on Tuesday. “Shocked at Cortez Kennedy passing..1 of the most talented players I ever recruited or coached…a fun loving person a sad day,” Johnson wrote. 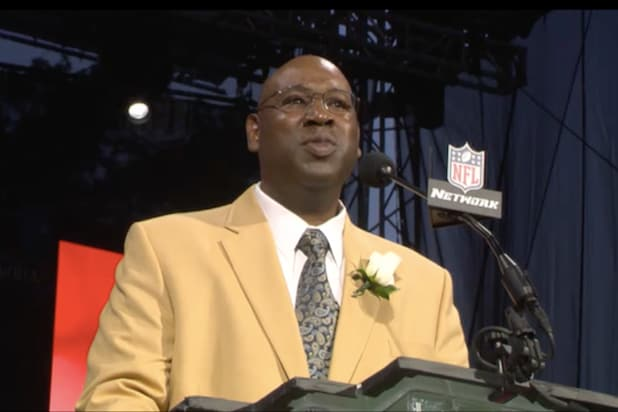 Shocked at Cortez Kennedy passing..1 of the most talented players I ever recruited or coached…a fun loving person a sad day..
Kennedy had recently served as an informal consultant with the New Orleans Saints.